Did you now there are only 90 days left before Christmas? As the year fast escapes us, if you haven’t had a chance yet, check out some of the great upcoming marketing conferences and events coming up around Australia in October 2018. The Marketing.com.au team are proud to provide you with this monthly events round up to help you keep up to date and not miss a great event. 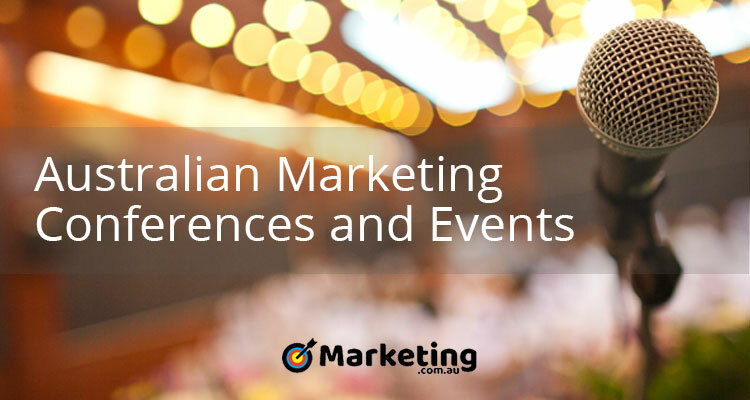 We also have our dedicated Australian Marketing Conferences and Events Calendar, where we’ll list other events as soon as we find them. If there’s something we’ve missed submit the event for free here. With this industry always changing and people having so many multiple priorities & high expectations it can be hard to keep up, in this industry the main difference between an effective & an overwhelmed marketer can be processes, systems and techniques which are used to focus and maximise productivity. At this event you will learn what matters most and how to consistently be productive. This event ha been designed for those people who’s to-do lists are never-ending, when you have too many things on your plate or that your day just seems to disappear. This 1 day conference has been put together for marketers in all areas of the industry, you will hear from some of the best brand and agency marketers, who will be discussing the hottest industry topics. It has been designed to change the way you think about modern marketing and programmatic innovations while uncovering new trends, technologies, and case studies to propel your strategy further. This event is a Business education workshop it has a focus on helping you become more profitable. At the event you will receive a workbook on a key topic and learn the best strategies and an action plan to implement! You’ll find like-minded business owners who want to get ahead and believe in the power of helping each other to get there. This event will focus on taking a strategic approach to digital marketing, exploring the opportunities and highlighting best-practice approaches to build online presence and effectiveness. Some of the topics that will be covered are social media, email marketing, messenger marketing, video marketing, content creation, SEO, website optimisation plus much more. With the social media landscape always changing it is time for the public sector to transform communication and harness the emerging technology. This 2 day conference will help you consider the future and where you should be paying attention. The impact of facebook spaces going mainstream on future strategy, plus more! The 2018 Advancing Analytics Conference explores the interconnection of data and analytics for greater knowledge of new analytic possibilities and positive business benefits. Attend this event to learn the latest in technology and analytics techniques, understand the business and ethical impact of analytics, and gain inspiration from global data for good initiatives. The 11th Social Media for Government Summit explores new strategies and best practices for utilising the power of social media and making informed digital decisions. Government departments, agencies and local councils can learn how to harness social media’s unprecedented reach as a means to communicate directly with stakeholders, inform citizens about current affairs and win influence. This interactive workshop gives you the tools to build both your personal and your company’s brand on LinkedIn. You will learn how to develop and implement clever LinkedIn marketing strategies and getting you and your corporate brand in front of the right audience. Facebook advertising is an extremely powerful platform when used correctly. This event will open your eyes to the opportunities within the platform and the targeting that is available. Once you understand how it all works, you will be able to achieve your objectives. In this workshop, you’ll learn how to utilise marketing to drive sales and increase brand awareness. You will come away armed with the knowledge on how to create, action and analyse your own marketing plan. To Outsource or not to Outsource – When and where you need to get external assistance, plus more!